The major event this past week was the Oscars, though it already feels like they happened a long time ago. The impact of a Best Picture win isn’t the same as it once was, especially since there was little drama in the result. Most prognosticators expected Birdman to grab the top prize, and the acting awards were also predictable. The truth is that it’s hard to get too riled up about who “deserved” the win or gave the best speeches. It’s easy to think of ways for the show to re-invent itself to be more relevant to movie goers or not feel so safe. Even so, this may be a situation where little can change the prevailing trends. Awards campaigns play a huge role in determining the contenders, and the lengthy ceremony needs more than a few tweaks to change. Host Neil Patrick Harris is charming yet didn’t seem comfortable on stage. There were fun moments, particularly the rousing opening number. His one-liners mostly failed, however. On a positive note, there were a few amazing moments that will stick with me. The performances of “Everything is Awesome” and “Glory” transcended the show for very different reasons. The first was a jubilant performance that captured the fun of the movie and brought together a wonderful group of artists. Mark Mothersbaugh, Questlove, and a hilarious Will Arnett as Batman were clearly having a blast on stage with Tegan and Sara. Arnett’s monotonous voice for the cry of “Darkness! No parents!” was pitch-perfect. 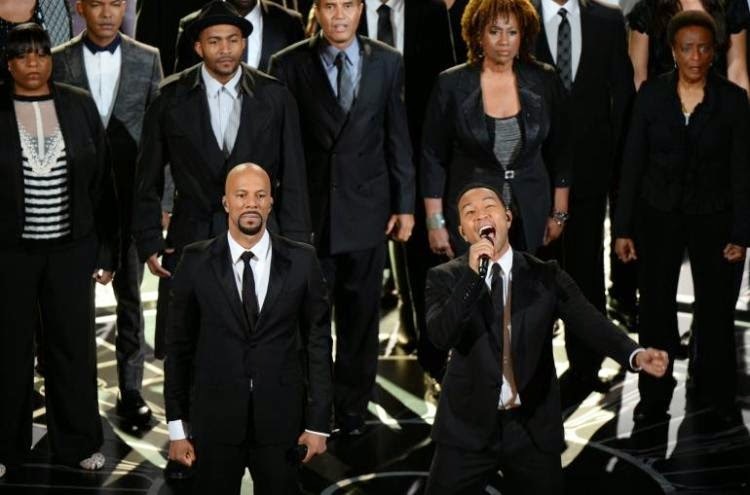 Equally memorable was the moving work by Common and John Legend in the rousing hymn from Selma. It reduced many in the audience to tears and existed apart from the strange ceremony. What ties these two performances together is the way they didn’t feel self-serving. They showed the potential for something unique that was missing during much of the night. This month included the 100th anniversary of Birth of a Nation, D.W. Griffith’s epic about the Civil War and Reconstruction. It’s a challenge to watch this film and not want to toss it in the garbage because of its racist content. On the other hand, Griffith masterfully used filmmaking devices that pushed the medium forward towards a new era. Godfrey Cheshire’s piece for Vulture about the film is a fascinating look at both the historical impact and the importance to the medium. Cheshire acknowledges the problems with Griffith’s depictions but doesn’t let it derail the most interesting aspects of the essay. PBS is such a valuable commodity for children’s programming; our kids watch it every day. What’s often undervalued is the benefits it can provide for movie fans. I admit to taking the service for granted, which isn’t wise given constant funding concerns. Andrew Lapin’s “Why Cinephiles Need to Care about PBS before It’s Too Late” for The Dissolve points out the benefits yet shows how they’re being diminished. My local PBS affiliate sometimes skips episodes of The Independent Lens and POV for less interesting programming (in my opinion). Lapin shows how their impact is being lessened and why we need to seek them out right away. Many writers mourned the loss of David Carr, a New York Times journalist who inspired so many young minds. He represented a different era for journalism in Andrew Rossi’s Page One: Inside the New York Times documentary and was known for honest essays about his past challenges. In “Personal Writing as Professional Empathy: On David Carr” at Movie Mezzanine, Alissa Wilkinson captures what made Carr so important. She uses his own words to make a convincing case for what we can learn from his approach to life. His work in covering movies also can provide important advice when writing about films. There have been some huge losses in the movie world during the past year, including Robin Williams and Philip Seymour Hoffman. It’s hard to wrap our minds around a world that won’t include future work from them. A rarely discussed topic is the emotional depth that some artists mine to deliver such moving performances. This clip of Ethan Hawke on Charlie Rose seems so fitting to help explain the torment experienced by these guys. The idea that “it didn’t come for free” is the most simple and honest explanation that I’ve heard to try and understand the situation. Credit goes to Sheila O’Malley for posting this moving video on her great blog The Sheila Variations. I’m still digging through the movies of 2014, so it’s refreshing when podcasts take their time and present their top 10 lists much later. Tyler and David at Battleship Pretension revealed their favorites last week, and their choices mostly avoided the obvious titles. The best part was hearing their lengthy discussions about the picks during an episode that lasted more than three hours. Several new podcasts have risen this year that deserve your attention. The first is Super Zero!, which explores the history of super movies from two very different perspectives. Matt Brown is the comics expert, while Alia Miller is the newbie. The duo has a great on-air chemistry as she asks the tough questions about genre landmarks like Batman Begins and Superman. My favorite episode thus far covered the original Batman, a movie that I loved as a kid. Matt and Alia delve into the surprisingly dark content from Tim Burton and other quirks from the movie that resurrected the genre. Another podcast that’s just begun is Not at Odds, hosted by Jandy and Jon Hardesty. They’re married and bring a down-to-earth style to film discussions. The most recent episode covered their “Year of Positivity”, which aimed to avoid the first impulse to take a negative approach when considering movies. I haven’t gone as far as Jandy and Jon but am trying to use a similar way of thinking. Another one that I really enjoyed discussed the term “overrated” and why it’s problematic. The episodes last about 30 minutes and don’t waste time, and I appreciate the more focused approach to the medium. There seems to have been a growing distrust and disinterest in the Oscars over the past decade. I think this year, when so many people were jaded and indifferent to the nominees, may have just been its peak. I have seen every Best Picture Winner since 2010 (excepting Birdman of course)... after they won and only because of their recognition by the Academy. While I'll agree that The Hurt Locker definitely deserved that award, I can't say the same about a lot of the others. Argo was entertaining but there were far better movies that year (and as a Canadian, it is a bit hard to accept that they basically wrote it so that America stole credit from what was largely a Canadian operation). The Artist was stylistically interesting (i.e. the silent movie style and the playing with sound) but I'm not sure it was really that great a film overall. 12 Years a Slave was well-done but I would argue that Gravity was a far better movie. No Country For Old Men definitely was worthy of the Best Picture award, but I personally found The Departed to be a convoluted mess with way too many different story lines going on at once to be able to make any sense of. In fact, there still people today (for once not including myself) who haven't forgiven the Academy for awarding Best Picture to Shakespeare in Love over Saving Private Ryan. Obviously something's not quite right with the system. I think where I've gotten is trying not to really look at the Best Picture winners as being about what's "best". The first challenge is how it's possible to quantify what's really better. It comes down to personal preference. Are we looking at which film had the most long-term impact on the craft? Does entertainment value matter? I've been irritated by selections in the past, but I've hit a point where it doesn't mean much. I'll watch the show and keep an eye on who is expected to win, but there's only so much value to put on it. I still haven't seen The King's Speech, and it's probably a good movie. There's just too much else to watch at this point. 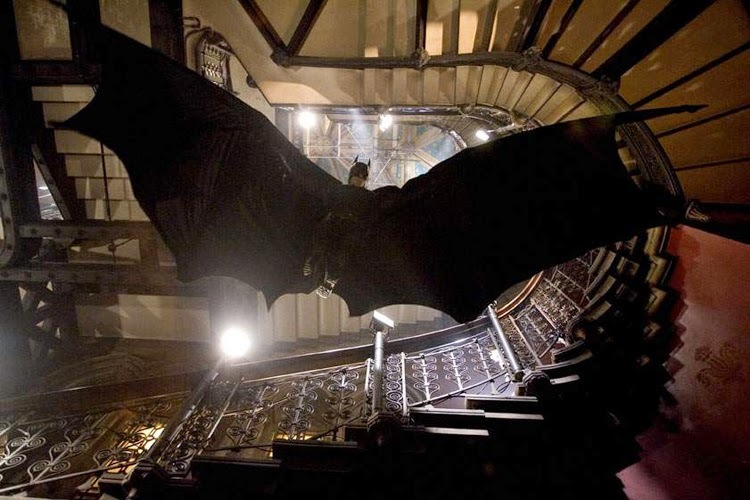 I love Tim Burton's Batman, so curious to check out E2 of modernsuperior podcast, thanks for sharing! I previously watched clip of Ethan Hawke on Charlie Rose, the "didn't come for free" part is quite moving. If you love in-depth podcasts I can see the enjoyment of a 3 hour discussion, but I wish those guys at Battleship Pretension would also post a written top 10 on the site, for those who don't have the patience, and just want the titles of the films discussed. No problem. I'm glad you were able to find them! No problem, Jandy! I do like that tagline. Who has time for three-hour podcasts? Getting to the point of a topic should not be underrated.